Adam Werbach, author of Strategy for Sustainability: A Business Manifesto said that being a sustainable business means thriving in perpetuity, and that a successful business stands on four pillars of sustainability: social, economic, environmental, and cultural. Perhaps the most important of these four pillars is the one that targets our decisions as a society. The cultural pillar is defined as actions through which communities manifest their identity and cultivate traditions from generation to generation. Whether the choice to maintain a sustainable lifestyle is done on an individual or professional basis, the community that interacts with these lifestyles is a viable link, not only for how people can benefit from these decisions but for what people can do as agents for change. Having little to no negative impact on the environment or society takes this type of community effort. On a local level, retailers and producers that embrace this strategy are essential. The following is series of articles that introduce microbreweries that have chosen to embrace local production, various Iowa restaurants and bars that are working towards developing a sustainable business, and ideas of where one can learn to start. Producing locally made beer and wine is gaining popularity across the country, and companies in the beer brewing business are beginning to implement more sustainable methods of production. According to the Iowa Brewers Guild, the state of Iowa is home to over twenty different microbreweries, many of which have only started production in the past ten years. These new companies are flourishing not only for their innovation in the production process, but because of community passion for local processing and quality made beer. Peace Tree Brewing Company of Knoxville, Old Man River Brewing Company of McGregor, and Millstream Brewing Company of the Amana Colonies, are three of the largest microbreweries in Iowa, and each of them are bringing better products to their local communities while working to minimize environmental impact. One of the main goals of the Iowa Brewers Guild, an organization that represents a collection of Iowa’s brewers, is to advocate for the promotion of a local brewing community. Connecting with the community increases the likelihood of a microbrewer’s longevity. It is an important factor in any sustainable production, and its something that Millstream Brewing Company has known for years. Millstream organizes a wide range of events throughout the year, including beer festivals to raise money for charities and a bike riding beer tour where donations go to the local bike trail. But it is not just the Amana Colonies that Millstream Brewing Company supports; it is the entire state of Iowa. “We kind of sat back and thought, why are we trying to go out of state? We’ve dedicated ourselves to letting Iowa know who we are. By staying in Iowa, customers know they are getting a fresher, more local product,” said Albert. Although Millstream Brewing is the oldest brewery in Iowa, they share the same commitments with those that are newer to the business. Down south, Peace Tree Brewing Company also considers investing in the community as an important part of local, sustainable production. Part of their success as a new microbrewery is due to the positive community response. “We are helping to bring tourism to Knoxville,” said Megan McKay Ziller, co-owner of Peace Tree. 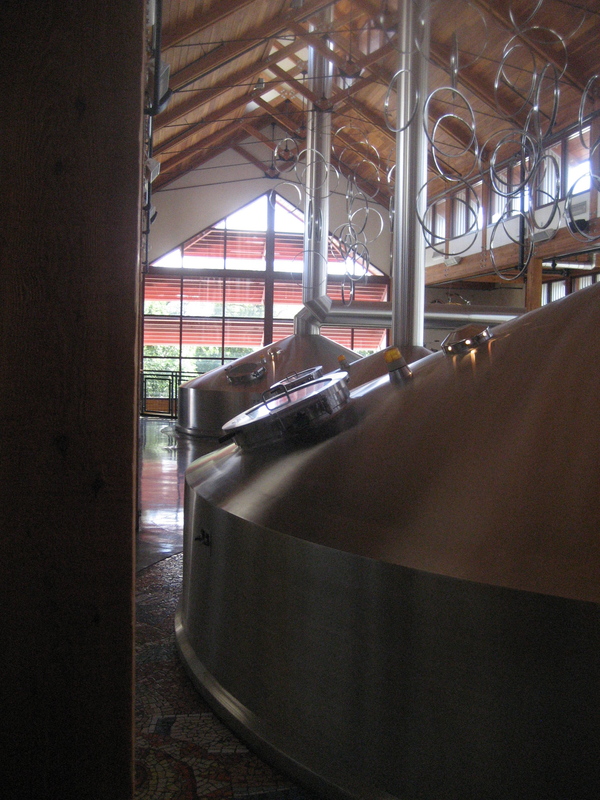 In the craft-brewing world, any outreach benefits the business. For Earth Day, owners of the brewing company handed out sycamore saplings, a tree native to Iowa. When in season, the brewmasters use ingredients from Knoxville farmers. Not every microbrewery is able to use local ingredients, but there are other ways to locally “sell” craft beers to a community. Farther north in Iowa, Old Man River Brewing Company is favored by the town of McGregor because of their outlook: simplicity. Their motto to ‘slow down and appreciate the simple things’ developed from their simplistic style of production and their appeal to the down-to-earth Iowan lifestyle. “We stick to German Purity Laws, where beer has only four main ingredients: water, hops, malted barley, and yeast,” said Jacob Simmons, the head brewmaster at Old Man River Brewing. The Purity Laws result in a beer free of preservatives and additives. But they are also doing something else along the lines of sustainable production: energy conservation and reuse. The brewery is in the planning process for their next plant, and sustainability is on their minds as they begin designing. “We plan to use state of the art equipment to reduce energy outputs. Our cleaning system will be reusing cleaning chemicals and recapturing rinse water,” said Jacob Simmons, the head brewmaster at Old Man River Brewing. The benefit of supporting communities is gaining a retailer’s appreciation for a local product. Any company that supports its network of suppliers, customers and community will continue to thrive. In Iowa City, like-minded restaurant and bar owners respond to the microbreweries’ appreciation for community with eagerness to supply their product. To learn more about how Iowa restaurants are becoming more sustainable, read this related story about retailers in Iowa City who are sourcing locally. The Red Avocado uses 100% biodegradable and combustible to-go containers, a simple step any business can take to reduce waste. These days, even restaurant owners know there are benefits to building a sustainable business. In Iowa City, a number of restaurants are developing strategies that are putting their businesses ahead of curve. What does it mean to work towards having a sustainable business? A sustainable approach means building your business to have little to no negative impact on the environment or society. Now more than ever, local Iowa City restaurants are considering their ecological footprint on the environment. And evaluating where their food is purchased, how much waste is produced, and how materials can be reused is a path of progress they are willing to take. Shorts Burgers and Shine, 18 S. Clinton St, Iowa City, is one restaurant that has made a step towards sustainability, by sourcing locally for their food and alcohol. “Our burgers, our beer, and most of our vegetables all come from this community,” said Tia Tiefenthale, a long time waitress and bartender at the establishment. Shorts gets their 100% black angus beef 26 miles away from Iowa City, at Ed Smith Farms, and vegetables when they are in season from the Iowa City Farmer’s Market. Since the restaurant has made the switch to serving all Iowa ingredients, business has picked up, especially with alcohol sales. “One thing we have also noticed is we rarely serve bottles of beer, most people only request drafts from the Iowa Craft beers,” said Tiefenthale. “I did not think it would be nearly as popular as it has been, but it has, especially during football season. Shorts recently switched all of their beers on tap serving only Iowa breweries, including Old Man River, Peace Tree, and Millstream brews. 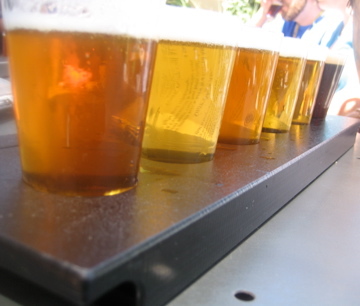 These brewing companies rely on restaurants like Shorts for garnering interest. Their locally produced beers are creating a growing market for customers who want beer on a local level. Deciding to make this shift in business strategy is not just about production and profits; it’s also about meeting customer demands. And David Burt, the owner of The Red Avocado, 521 E. Washington St, Iowa City, knows that customers want tasty, nutritional, well-prepared food that doesn’t come at the sacrifice of the world around them. 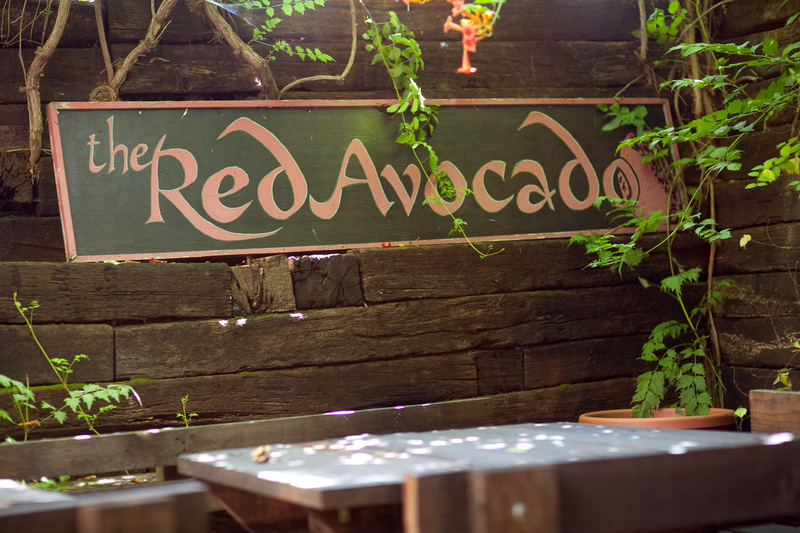 Their 100% organic vegan menu is why customers come to the Red Avocado. “They come here because they understand that we are the only Iowa City restaurant that is 100% organic, and we have literally zero food waste,” said Burt. “The Red Avocado composts every item of food that is left over, from our kitchen and our customers.” The compost is then given away to various members in the community, from goat farmers to gardeners. 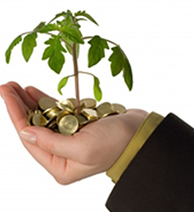 According to Sameulson, developing a green business is a long term process and starts with initial assessments of how a business is performing in respect to energy, waste, water, pollution, and education. The shining star of local Iowa City restaurants undergoing a sustainable transformation may be that of Her Soup Kitchen, 625 S. Dubuque St., owned and operated by Barb Farnsworth. Since their opening over a year ago, Her Soup Kitchen stresses the importance of composting, reuse, recycling, and buying locally. “We reused bricks from a demolished building for our patio, tables and chairs that customers have brought us, coffee mugs, plates, we’ve bought cooking appliances from auctions, almost everything here has been reused,” said Jason Farnsworth, son of Barb Farnsworth and head chef and Her Soup Kitchen. For Barb Farnsworth, bragging about how the restaurant produces only one bag of trash a day is not something she is interested in. “I want the community to see us as environmentally conscious, sure, but the main reason we run our restaurant this way is because we believe in nourishing the neighborhood,” Farnsworth said. Her willingness to prove that a business can significantly reduce it’s waste with little effort might make Her Soup Kitchen the most sustainable restaurant in Iowa City. Their ability to thrive on reuse has set an example, not just for other businesses in the area, but for patrons as well. “Sustainability is just as much as a social practice as an environmental one,” said Farnsworth. So what is the best advice for restaurants that are looking to better the environment and their community? And the efforts of businesses like Shorts, The Red Avocado, and Her Soup Kitchen do not go unnoticed in the community. The City of Iowa City Environmental Coordinator, Jennifer Jordan, has nominated Her Soup Kitchen for the Iowa Recycling Association to receive an award for Best Business Recycling Program of 2010. The city is also in the process of developing a sustainable business certification for Iowa City businesses, said Brenda Nations, Environmental Coordinator for Iowa City. “It would be great to reward those businesses who are already doing great things and get ideas out to others who might decide to start up and join in,” Nations said. There is a wealth of information for those interested in transforming their business to meet the growing demands of a market that is environmentally friendly. See a related post that contains tips and feedback from other bars and restaurants in Iowa. A related post about various restaurants in Iowa shifting their business strategy towards sustainability looks at how business owners are beginning to practice environmentally friendly and community driven methods of energy use, waste reduction, and local food sourcing. But just how easy is it for a business to begin making these changes? And where to start? A waste audit looks at the business’ composition of the waste (what materials you are disposing of and in what quantities), the weight or volume of the materials you are disposing of, and the sources of waste (to determine where the waste is being generated and how the material can be reduced, reused, or recycled). “If results show significant quantities of material that can be diverted from a landfill, I work with owners to set up systems internally, and partnerships externally, to make that happen,” said Samuelson. Most restaurants in Iowa are aware of the amount of waste they generate but do not consider alternative methods that can save their business money in the long run. At one time, Airliner used to allow the sale of reusable mugs for their “mug club night” where patrons could get discounted drinks if they brought their mug. The decision could lower the amount of waste production and save the business money when purchasing plastic cups. The Airliner, like most bars in Iowa City, do recycle their glass beer bottles and cardboard. “We save the glass bottles and return them to the distributors. They then recycle them and the deposit gathered for recycling gets credited back to the bar,” said Montag. The following tips, some of which are taken from the California government’s “Restaurant Guide to Waste Reduction and Recycling“, are great ways to reduce waste and keep a productive business. Buy bar mixes in concentrate form and portion them into reusable serving containers instead of buying ready-to-use mix. Use refillable condiment bottles and refill them from condiments purchased in bulk containers. Stray away from using portion-controlled individual packets. Purchase paper products made from recycled materials. This can include toilet tissue, paper towels, napkins, bags, menus, place mats, etc. Switch to paper packaging if you use styrofoam to-go containers. Styrofoam takes up four times the amount of storage and disposal volume than paper in the landfill. Use reusable coasters instead of paper napkins when serving drinks at the bar. For delivery orders, consider hiring an employee who can take deliveries on bike for orders that are close to the business location. Advertise a “mug club” where on certain nights, patrons can purchase reusable mugs and receive discounted pricing for drinks when they bring back their mugs. Buy food locally from farmer’s markets or other local producers when in season. Buy alcohol from local breweries to support their local production. Purchase cleaning products that are safe for the environment. Look for products that don’t contain harmful toxins or large amounts of chemicals. These small changes could potentially have a big impact on cost savings. It is likely that the members of the community will take note of these efforts as well. It is a great way to increase sales if your customers know you are making an effort to make your business more sustainable. Scientists in America are seeing fewer lightning bugs each summer and have now asked volunteers across the nation to track the bug’s range and numbers in their own backyard. The collected data and volunteer input will hopefully explain the recent decline. Possibilities include light pollution, urban development, and pesticides and fertilizers. The first source I would use would be Stephen Hendrix, a professor for the environmental sciences department at the university of Iowa. He researches plant and animal interactions as well as the effects on plant and animal life when they come into contact with “fragmented landscapes” or landscapes that have been altered by human development. The tool I used was the University Directories/departmental listings for the University of Iowa’s Environmental Sciences programs. The second source would be the Iowa City Astronomy Club President Dan Bastemeyer. He would be able to explain the concept of light pollution and whether or not it has increased in cities or suburban developments. If light pollution is partly the cause, he would probably be able to suggest a reason why it is happening. I found this source by using google groups.